Any of us could potentially face difficult times in life. Nothing can be more confusing or overwhelming than when people and their families are struggling with a chronic or acute mental illness or the aftermath of a traumatic brain injury. 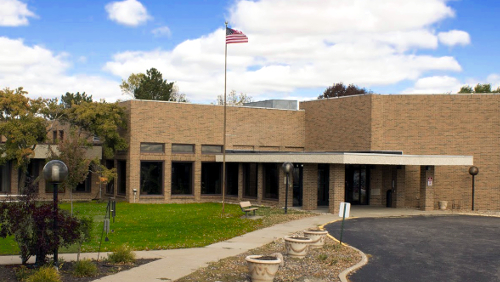 Norwood Health Center, located in the Wood County Annex and Health Center, provides residents of Wood and surrounding counties with high-quality treatment services which include acute, inpatient psychiatric care, skilled long-term care for persons with chronic, severe mental illness, as well as post-acute traumatic brain injury rehabilitation services. Close affiliations with other care providers exist which afford Norwood clients access to superior general and specialized medical and diagnostic services. Since Norwood is part of Wood County, we also have close ties with the outpatient mental health community and programs including case management, community counseling and treatment services. Norwood Health Center is owned by Wood County with oversight by the Wood County Health and Human Services Board. Referrals and questions about admission can be directed to the Client Services Director by calling 715-384-2188. In addition to Norwood, the Annex also houses offices for the Health Department, Veteran’s Administration, Sheriff’s Department, Birth to Three and a branch office of the mental health clinic one day a week for outpatient therapy. Admissions, licensed as a specialty hospital, provides a wide range of services to persons experiencing acute psychiatric crisis. Our highly trained professional staff includes nurses, psychiatric technicians, social workers, therapists, psychologists and psychiatrists, who work as a team along with the patient to return him or her to the community setting quickly. Crossroads is licensed as a nursing home and is a long-term care program designed for treatment of individuals with severe and persistent mental illness. Each individual in this residential setting receives the support they need based on their unique strengths and challenges. Individuals are supported to allow them assert as much control over their lives as possible. We want to support residents to grow and heal by providing numerous opportunities and activities that help them structure their daily life in enjoyable and fulfilling ways. Pathways is an eight-bed, post-acute rehabilitation program, licensed as a nursing home, and is another step in providing treatment for a person who has had a brain injury. Our focus is for the participant to return back into their community using a participant/family centered and results oriented approach.